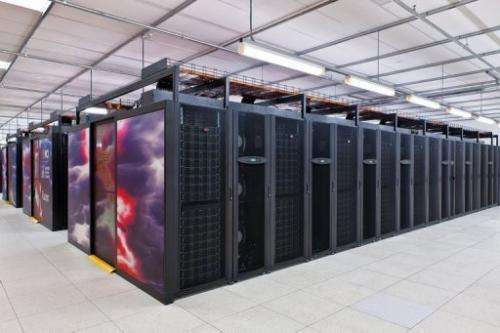 This recent undated handout picture released on July 31, 2013 by the Australian National University in Canberra shows a supercomputer which has been named Raijin—after the Japanese god of thunder, lightning and storms. Australia's most powerful computer was unveiled Wednesday, in a boost for climate scientists who need to crunch vast amounts of data to make forecasts and pinpoint extreme weather, officials said. 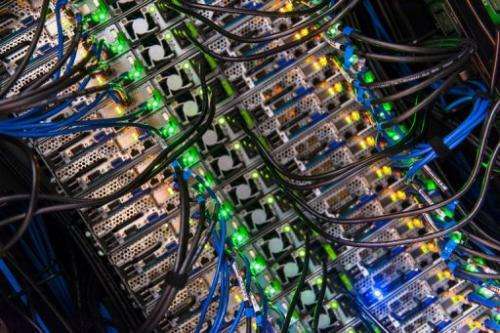 The Australian National University in Canberra has named the supercomputer Raijin after the Japanese god of thunder, lightning and storms. "You could say that we in the climate science community have a need for speed," the head of the Bureau of Meteorology Rob Vertessy said. "The simple fact is that supercomputer capacity is a major determinant of our success in this field, but it's always been a struggle to secure access to it." Lindsay Botten, director of the ANU's National Computational Infrastructure centre where the computer is housed, said the machine can handle complex simulations and modelling much faster and at a higher resolution than previously available in Australia. "Advanced computational methods form an increasingly essential component of high-impact research, in many cases underpinning discoveries that cannot be achieved by other means," he said. Predicting extreme weather, which Australia frequently experiences, required millions of lines of code and complex information to be processed in an instant, said Andy Pitman from the Centre of Excellence for Climate System Science. This recent undated handout picture released on July 31, 2013 by the Australian National University in Canberra shows a supercomputer, which has been named Raijin after the Japanese god of thunder, lightning and storms. Australia's most powerful computer was hailed as a boost for climate scientists who need to crunch vast amounts of data to make forecasts and pinpoint extreme weather. "You cannot do that on your home computer, you need a seriously large system in order to do that kind of processing," he said. "And fortunately we now have one of those." The machine, estimated to be the 27th most powerful computer in the world, weighs 70 tonnes and has 57,000 processing cores (the equal of about 15,000 laptop computers) and 160 terabytes of memory (the equivalent of about 30,000 laptops). The supercomputer was funded as part of Australia's infrastructure-building stimulus package in the wake of the global financial crisis. Good. The more weather/climate data the better. Erm. No. Each million spent on climate science is several billion (or triliion) saved in terms of damages avoided by taking action based on the results. Try to think long term. Following your 'advice' would be like drug use: Short term you'd benefit, long term you'd die. Not a winning strategy if you ask me. since Global Warming science is founded on fraud. If it is founded by fraud, wouldn't more climate data eventually support your view? NikkieTard needs to invalidate all science for the last 150 years to invalidate CO2 enhanced global warming. 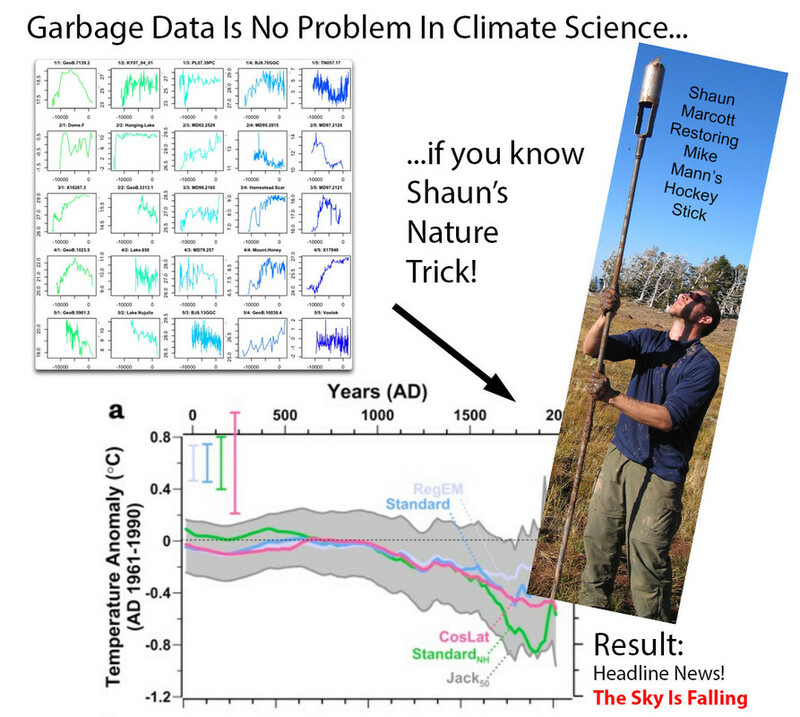 Since Nik says he has spent "Years reading primary literature in climate "science" " and the garbage he posts is the best he can do to illustrate the problems with said science, we can be pretty confident that the science is probably good. Maybe he got the quotes wrong --- maybe he meant "Years reading primary "literature" in climate science"
And here we see the fatal flaw of denialism. It is not a theory, but an anti-theory which ignores the past and offers nothing for future predictions. Under denialism, the climate could go up, down, left, right, positive, negative, but never what the experts predict, unless it does, then it is just a blip in the data. Too many people are raised believing that democracy means that all beliefs are equal no matter how ridiculous. Fantastic news!!! Now they can run their terminally flawed climate simulations even faster. This give them a lot more time to fill out their grant forms and get the morning coffee. I don't deny climate change, however I am VERY suspect that it is ALL MANS DOING. I place human caused climate change up there with creationism and scientology!!!! So please stop refuting arguments via, CLIMATE CHANGE IS REAL, THE SCIENCE SHOWS IT. Yes we know that, the doubts are if humans caused it, and if humans can actually do anything about it!! That is what needs to be researched.